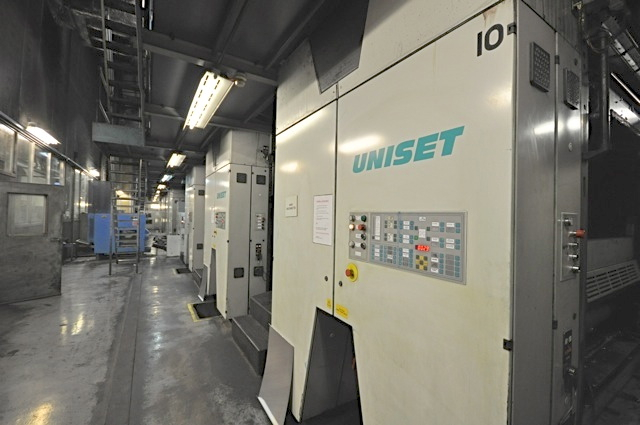 A MAN UNISET press (single width two plates around). 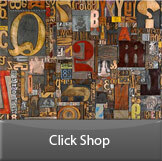 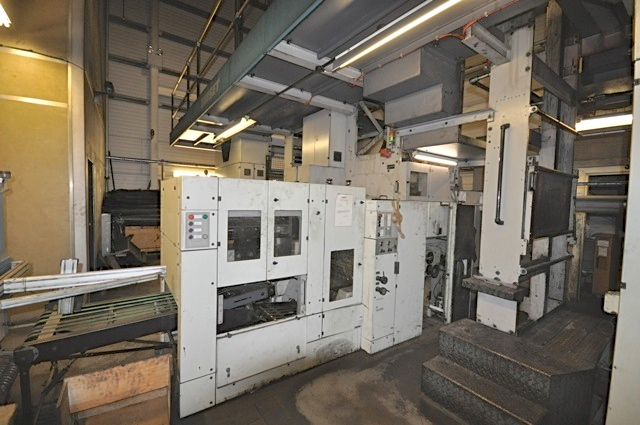 Cut-off size 598mm; current operating web width 720mm; maximum web width 840mm. 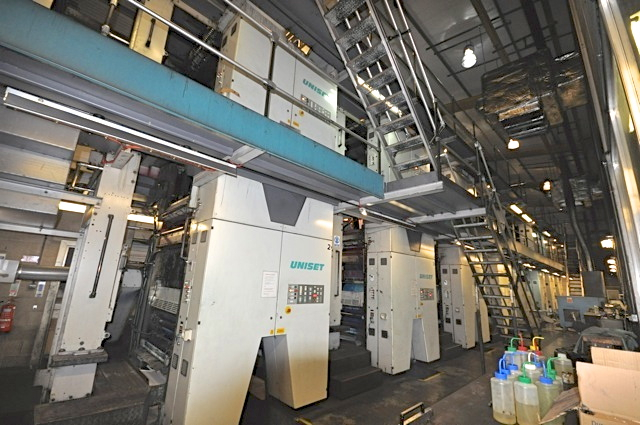 6 (six) 4+4 color towers; 1 (one) 2+2 tower and 1 (one) mono unit. 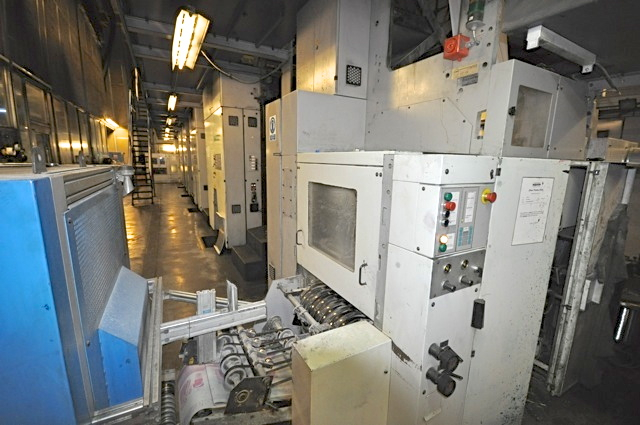 8 (eight) fully operational reelstands type RWK; 2 (two) further reelstands have been used for spares. 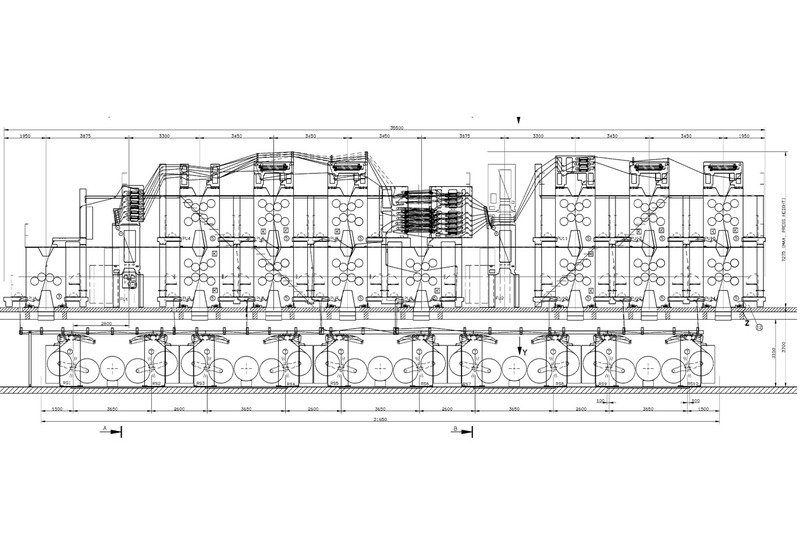 2 (two) folder superstructures FA 1-70, with one prepared for a balloon former extension. 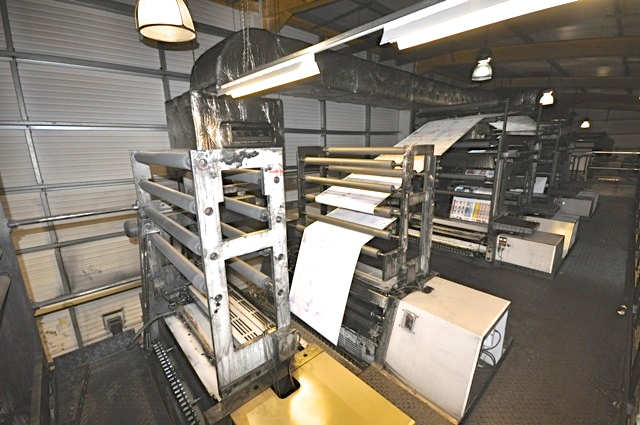 2 (two) JAW folders system 2:3:3; 1 (one) Quarterfolder; Bay window arrangement; 2 (two) mechanical main press drives; PECOM control with 2 (two) main control desks; 1 (one) back up main control desk and 5 (five) colour desks; automatic colour register crontol CR11, Grafikontrol, automatic cut-off register crontol CR11, Grafikontrol, 10 (ten) motorized web threading devices; plate bender and one film and plate puncher. 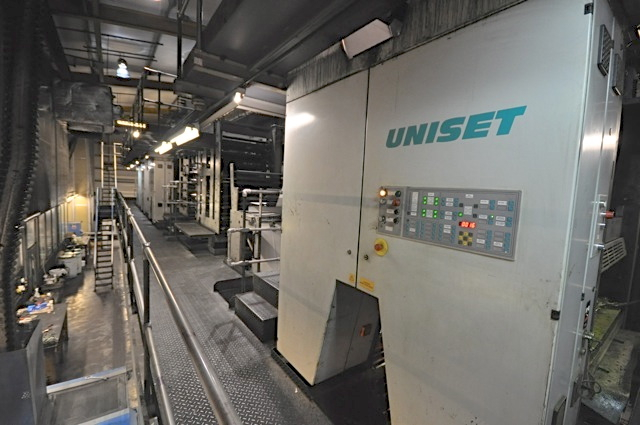 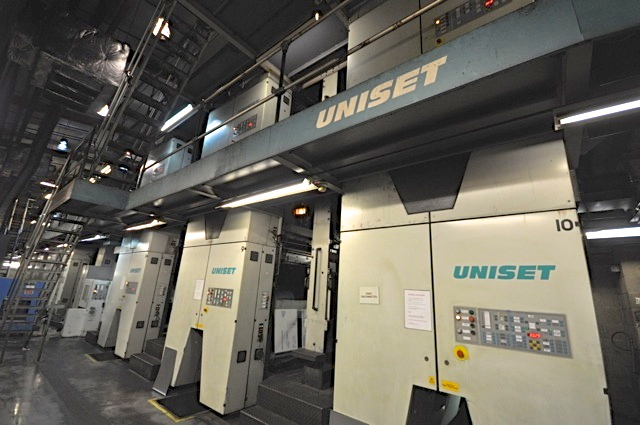 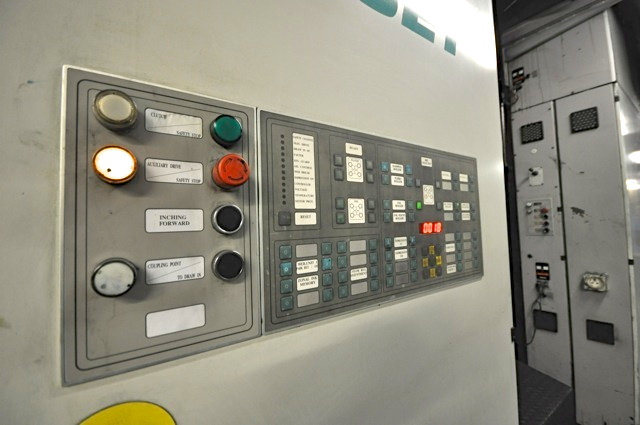 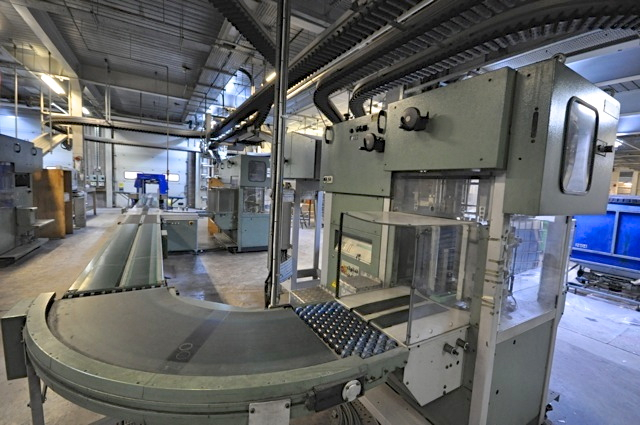 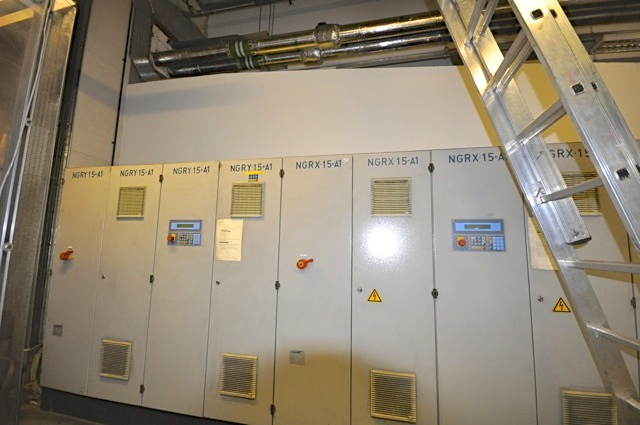 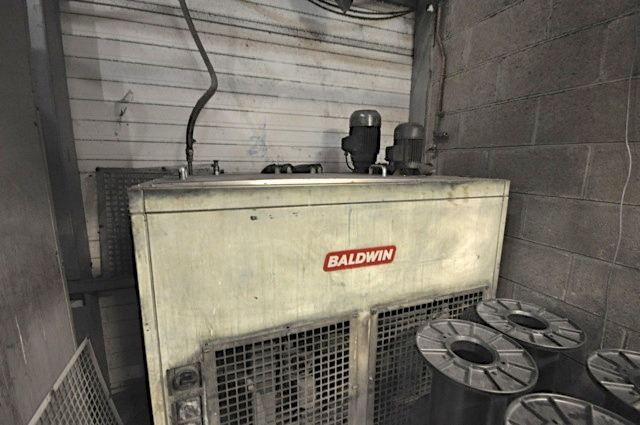 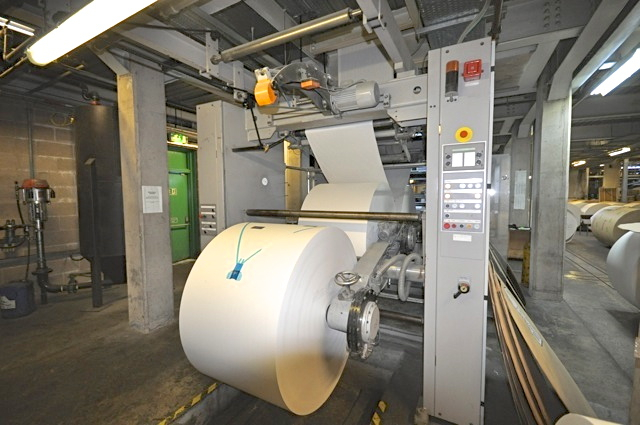 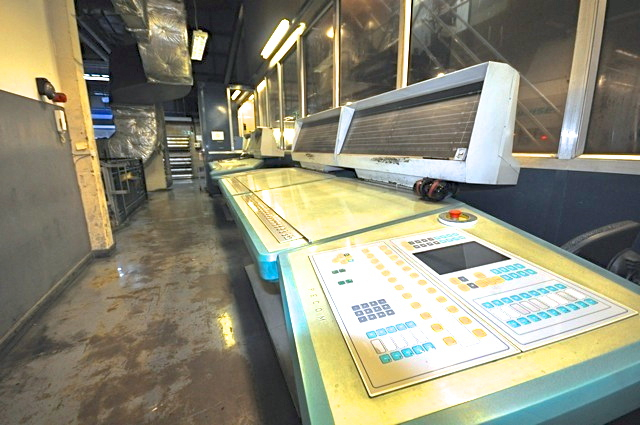 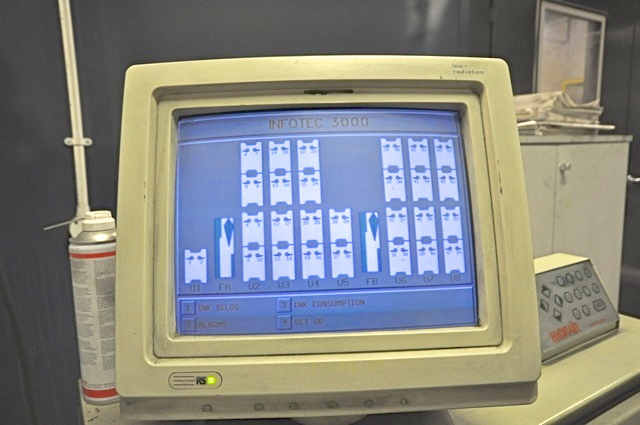 The machine started production in 1996 and over a course of time many of the unit footprints were populated to print full colour, a colour upgrade was installed in 2004. 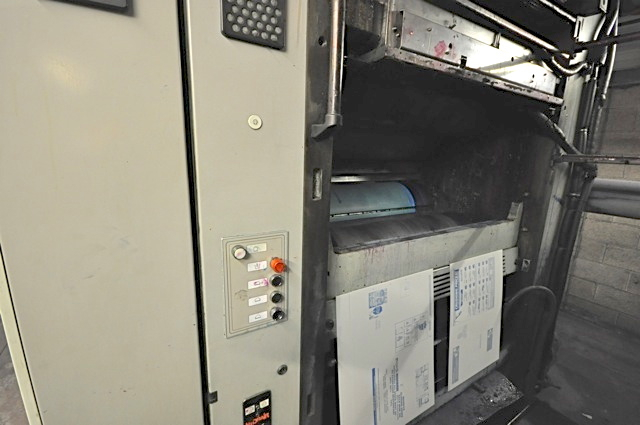 The press has mostly operated on a single shift basis monday to friday. 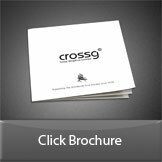 For further information please contact Cross Graphics Limited.